History Nebraska is pleased to announce two Nebraska locations have been listed on the National Register of Historic Places. The Albion Carnegie Library and the Oakland City Auditorium were considered and selected by the National Parks Service for listing. 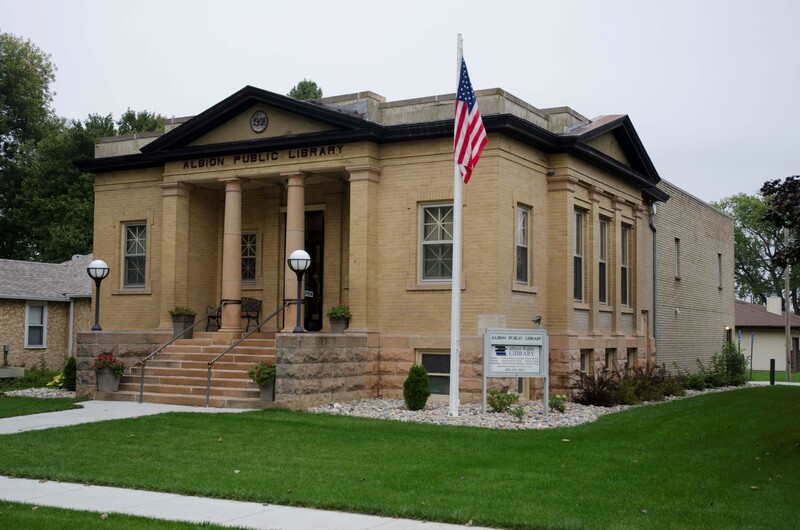 The Albion Carnegie Library, located at 437 South 3rd Street in Albion, is one of the sixty-nine libraries in Nebraska that were built using a grant from Andrew Carnegie. The library was originally constructed in 1908 and has served as Albion’s public library ever since. Designed by Eisentraut, Colby, & Pottinger, the library has been listed in the National Register due to its continued role in the educational development of the community from the time of its construction, 1908, until 1969, as fifty years prior to the present year is an eligibility requirement for listing in the National Register. Although an addition was added to the rear of the building in 1977, the Albion Carnegie Library retains much of its original layout with open reading spaces, as well as much of its original materials, as demonstrated by the elaborate interior woodwork and original windows. The Albion Carnegie Library is the sixth property in Boone County to be listed in the National Register of Historic Places and the second in Albion. The Oakland City Auditorium, located at 401 North Oakland Avenue in Oakland, is eligible for listing in the National Register for its significance in Politics/Government, Entertainment/Recreation, and in Architecture. Designed by Fremont architect Geroge Grabe, the auditorium’s period of significance is from 1941 to 1969 as fifty years prior to the present year is an eligibility requirement for listing in the National Register. The Oakland City Auditorium continues to serve the community as Oakland’s City Hall, event venue, and is an architectural landmark in Oakland’s downtown district. 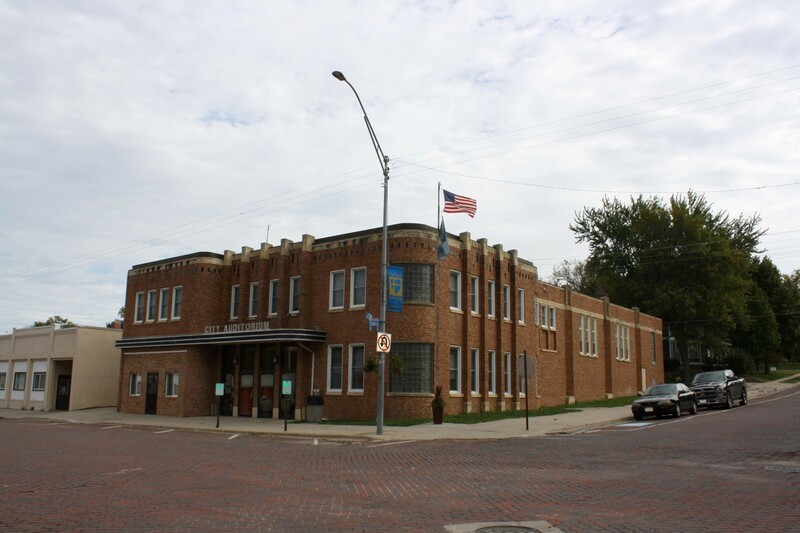 The Oakland City Auditorium is the eleventh property in Burt County to be listed in the National Register of Historic Places and the second in Oakland. The National Register of Historic Places is the nation's inventory of properties deemed worthy of preservation. It is part of a national program to coordinate and support local and private efforts to identify, evaluate, and protect the nation's historic and archeological resources. The National Register was developed to recognize historic places and their role in contributing to our country's heritage. Properties listed in the National Register either individually or as contributing to a historic district are eligible for State and Federal tax incentives. For more information on the National Register program in Nebraska, contact the Nebraska State Historic Preservation Office at History Nebraska at (402) 471-4775.